The U.S. government's 2017 fiscal year officially ended on 30 September 2017. At that time, we knew that the total public debt outstanding of the U.S. government increased by $671.5 billion from the end of the previous fiscal year, rising from $19,573 billion (or $19.6 trillion) to $20,245 billion (or $20.2 trillion) during FY2017. 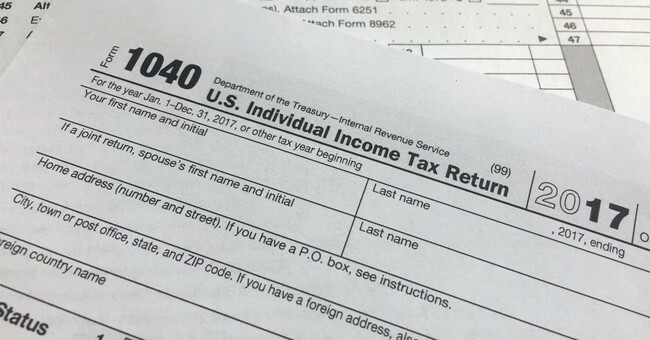 According to the U.S. Treasury Department, the U.S. government spent some $665.7 billion more than it collected in taxes during its 2017 fiscal year. The difference between this figure and the $671.5 billion that the total national debt actually rose can be attributed to the government's net borrowing to fund things like Federal Direct Student Loans, which collectively account for nearly $1.1 trillion of the government's $20.2 trillion debt, or 5.4% of the total public debt outstanding. Put differently, the U.S. national debt would be 5.4% less at roughly $19.1 trillion if not for the federal government's takeover of the student loan industry from the private sector in March 2010. Since that time, approximately $1 of every $10 that the U.S. government has borrowed has been for the purpose of funding its student loan program. Overall, 69% of the U.S. government's total public debt outstanding is held by U.S. individuals and institutions, while 31% is held by foreign entities. China has resumed its position as the top foreign holder of U.S. government-issued debt, with directly accounting for 6.8% between institutions on the Chinese mainland and Hong Kong, taking over from Japan, whose share of U.S. government-issued debt holdings has dropped to 5.4%. Beyond that, about 2.1% of the U.S. national debt is held by institutions in Belgium and Ireland, largely as a consequence of these nations' roles as international banking centers, where their holdings often represent those of other nations, particularly China in recent years. The United Kingdom, with 1.2% of the U.S. total public debt outstanding, falls into this category as well. The largest single "private" institution that has loaned money to the U.S. government is the U.S. Federal Reserve, which accounts for nearly one out of every eight dollars borrowed by the U.S. government. It lent nearly all of that total since 2008, mainly through the various quantitative easing programs it operated from 2009 through 2015 in its attempt to stimulate the U.S. economy enough to keep it from falling back into recession. In September 2017, the Fed announced that it would begin reducing its holdings of U.S. government-issued debt.